ICANotes offers secure, HIPAA-compliant messaging solutions for all forms of electronic communication. ICANotes features a fully HIPAA-compliant secure messaging system to for intra-office communication. The Messaging Center will reduce your practice’s dependence on paper, fax, and phone communications. 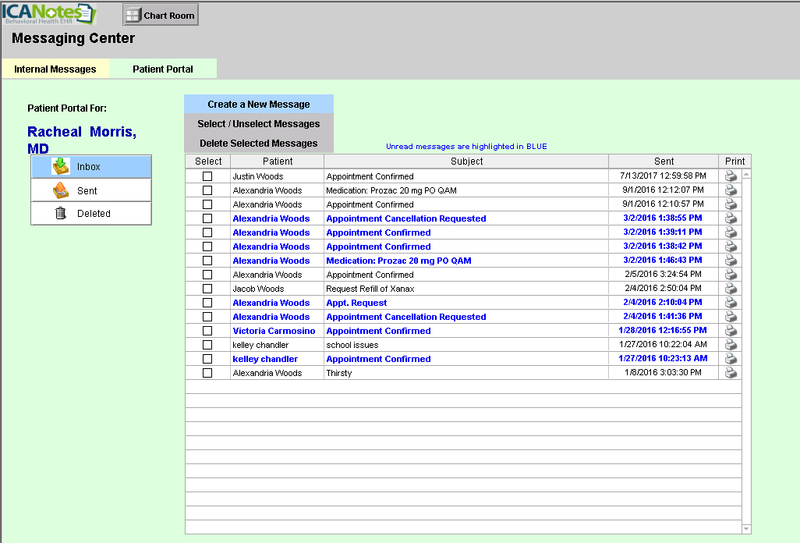 You can send secure messages linked to patient charts, lab results, and scanned documents. 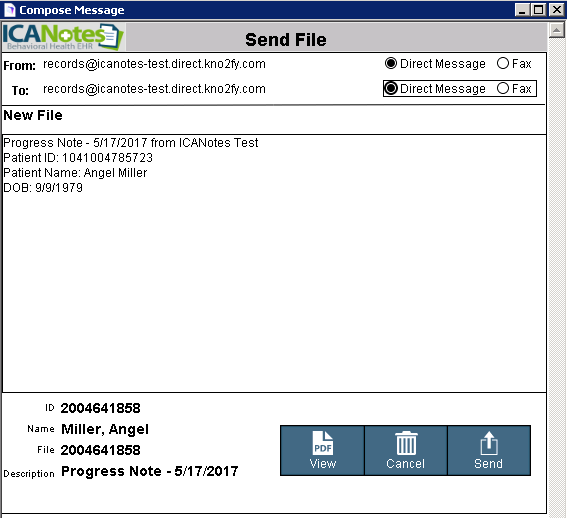 Eliminate post-it notes and ensure follow-up on important tasks by efficiently communicating phone requests, nursing orders, and referral notations within your office. All messages are encrypted for the highest levels of security. The Patient Portal facilitates secure electronic communication between your practice and your patients. Messages from patients are integrated with the Messaging Center in ICANotes, making it simple to access your message from one location. With the Kno2 add-on service, providers can securely transmit patient records electronically via Direct message or fax from within the patient chart.